Hi trade me watchers meet the boss the worker is the one behind the camera. 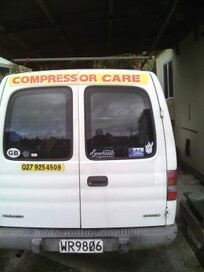 We are a local 1 man and 1 dog team maintaining, servicing and repairing Air Compressor in the Rotorua Lakes and South Waikato area. As its only me and Ellie ( the boss ) we can keep our pricing down which means you get the best deal. If your Air Compressor hasn't been seen for 6 months or more give us a call .